This compact and easy-to-use bird identification guide covers more than 250 species, and each bird description is supported by at least one clear colour photograph. 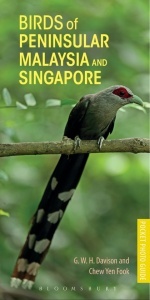 The forests and coastline of Peninsular Malaysia and Singapore are home to a fantastic and vast array of birds, and offer many outstanding and easily accessible birdwatching locations, many of which are highlighted in the book's introduction. With easy-to-use thumbnail silhouettes, a regional map showing the best birding localities, up-to-date tips on birdwatching and information on bird biology and behaviour, this guide an invaluable for anyone birdwatching in the region.